We do it all the time, whether or not we’re aware of it. But that’s just it - bringing some awareness to our breath can have huge pay offs for our health. Notice your breath now. Where do you feel like you’re breathing? Your chest? Does it feel shallow? That’s how most of us breathe throughout the day. Putting some effort into breathing deeply and into your belly (basically slow, long, deep breaths) has a tremendous impact on the state of our nervous system. When it feels like you’re breathing into your belly, you’re actually breathing into your diaphragm, which is located near the bottom of your rib cage. Your diaphragm is a muscle and it’s important to keep this muscle strong! Just like other muscles, it can atrophy when not used. Doctors see atrophied diaphragms during surgeries. Perhaps the biggest benefit is stress reduction, which in turn also helps reduce anxiety and depression. It’s so simple, yet so many of us forget to breathe deeply! I love my friend Emily’s tip - bookending your day with breath. She suggests taking 5 deep breaths in the morning before you get out of bed and 5 deep breaths before you go to bed. I personally focus on my breath during meditation. Kundalini yoga uses a whole slew of breathing techniques that activate energy, detox, boost immunity and a bunch of other really cool things. You may have heard of Wim Hof, who uses breath to help his body endure insanely cold temperates. 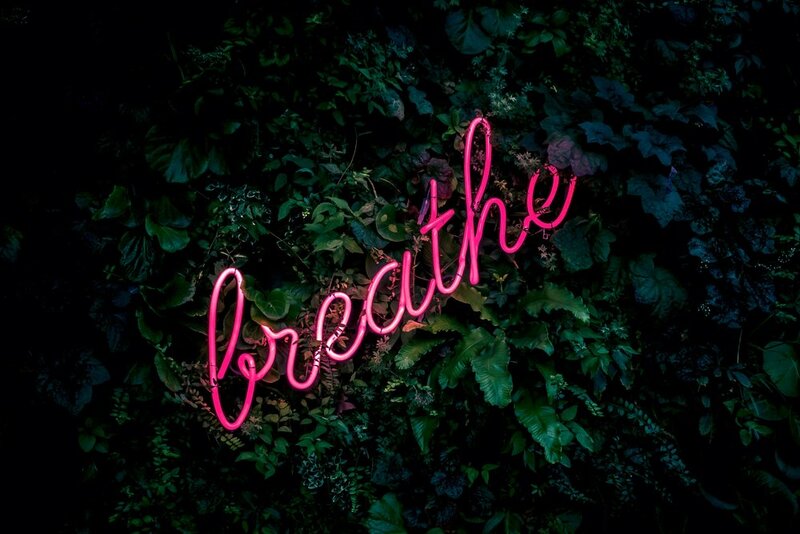 Breathing changes the brain, and while I’m not going to get into all the heady details in this post, just know that your breath is perhaps the most powerful tool you have when it comes to your day to day mood and experience of life.